We've talked about many stylish womens, Taylor Tomasi Hill, Giovanna Battaglia , Victoria Beckham, Uliana Sergeenko, Christine Centenera, Miroslava Duma; today I'm talking about another Italian Icon ( Italian Pride! ) who I 'm sure you already know. Viviana Volpicella is Assistant Fashion Editor at Vogue Nippon and Anna Dello Russo's collaborator; she is famous all over the world for her great style. Simple and fresh make up and hair, eccentric style but not ridicolous at all. She's great at mixing and matching colours and prints, I don't know how she does, she looks always so natural even when she wears three colours and three different prints together! She doesn't need to wear ridicolous pieces, she looks always so effortlessy stylish and chic, never banal and always perfect in each detail. Every woman in this world envies her wardrobe; yes, she can afford amazing expensive clothes and accessories but it's not the key, obviously style can't be bought! Abbiamo parlato di tantissime donne dallo stile invidiabile, Taylor Tomasi Hill, Giovanna Battaglia, Victoria Beckham, Uliana Sergeenko, Christine Centenera, Miroslava Duma; oggi voglio parlarvi di un' altra Icona Italiana ( Orgoglio Italiano! ) che sono sicura molti di voi già conosceranno. Viviana Volpicella è Assistente Fashion Editor a Vogue Giappone e collaboratrice di Anna Dello Russo; è famosa ovunque per il suo stile impeccabile. Trucco e parrucco fresco e semplice, stile eccentrico ma mai ridicolo. E' abilissima nel mixare e abbinare colori e stampe, non so proprio come faccia, risulta sempre così naturale anche quando indossa tre colori e tre stampe differenti insieme! Non ha bisogno di indossare pezzi ridicoli e fuori dal normale, risulta in ogni caso innatamente chic e ricca di stile, mai banale e sempre curata in ogni dettaglio. Il suo guardaroba è invidiato da tutte le donne; si è vero, può permettersi capi e accessori unici e costosi ma badate bene, lo stile non si può comprare! I love your post! Since you now have one more follower on my blog! Thanks for your comment so pretty. Thank you so much for your comment sweetie!! Of course I'm following you, lovely your blog! 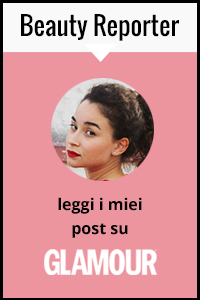 se vuoi ti va di ricambiare? I don't know about this woman, but she has a trendy style. Ahh I'm obsessed with her. I've loved her look for so long! love love her style! that yellow dress is amazing! Too funny, I have so many of those photos pinned on my Pinterest boards and I had no idea it was even the same person! I didn't know who she was but thank you for introducing me. I absolutely love her style! Love Viviana & love her style!! I like the way she paired the fall prints with neutrals. following you now on Bloglovin and GFC! Like to follow back? we could stay in contact! I hope so...!